Tasting wine can be a wonderful experience that incorporates nearly all of your senses with a wide variety of aromas, flavors, and sensations. However, it can also be an intimidating experience if you’re a wine novice. While learning about all the intricacies of wine tasting can be a time consuming commitment, there are a few basics that you can easily learn and practice making the experience even more enjoyable. These tips will also help you to feel more confident when out with other wine drinkers—be they family, friends, or business associates. 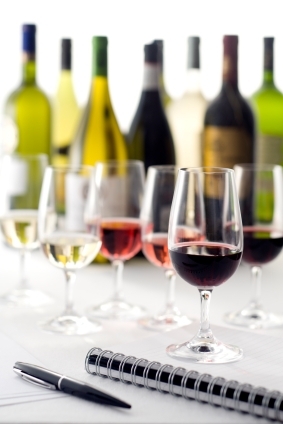 While learning more about wine you sample, always try to make notes on the wine’s appearance, aromas, and flavors. Writing down any thoughts and impressions of wines you taste is the best way to accelerate your wine knowledge. So with that in mind, if your only real understanding of wine is differentiating white wine from red, read on for some helpful wine tasting basics. The visual aspect of a wine is really the first impression it makes on the taster, and certainly owing to the use of clear glassware. Many different factors contribute to a wine’s appearance, including age, so do your best to take in as much as you can with your eyes. When served, tilt your glass towards and away from you at a slight angle and look at the color. Check out the color of the wine from the rim to the middle, noting any minute variances other than simply red and white. Red wines can take on maroon, purple, brick, and even brown tinge depending on the grape and vintage. Typically, older red wines will have orange or brown hues near the edges due to the ongoing oxidation as the wine ages. 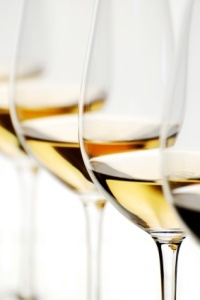 White wines can look clear, pale, straw, golden, and amber. Older whites are usually much darker in color, and like reds, will take on more brown hues. This can also be a result of the barrel used in initial storage, or—more likely—a sign that the wine is no longer healthy due to excessive oxygen working its way into the drink. While inspecting the wine visually, also pay attention to the color depth and clarity. Does the wine have a watery or dark appearance? You can also describe the wine as opaque or translucent, dull or brilliant, cloudy or clear. You’ll also want to keep an eye out for traces of sediment in the glass. The wine’s true color depends mostly on the color of the grape used, particularly in the skin. Essentially the amount of time in which the grape skins are exposed to the juice plays the biggest role in determining the color. Deeper colors often are a sign of a longer skin contact or more intense pressing during the winemaking process. The color of the wine is also a product of the amount of acidity in the wine, especially in red wines. A higher level of acidity in a red wine is usually represented by a brighter and more vibrant red color. Lower acidity will result in a more mellow color, with increased purple or even blue tones. As previously mentioned, aging can also affect the color, due to the complex chemical reactions taking place within the wine. Once the wine is fermented, the different compounds bind together within the liquid. Over time, these compounds grow until they reach a size that is too large to remain suspended within the solution, and separate. This results in a paler color of wine, as it has lost both tannins and pigment during the process. A visible result of this aging is the sediment you can actually see in more mature wines. A wine’s smell can be a great indicator of its quality. In fact, because of the deep connection between your sense of taste and smell, a wine’s aroma may offer a nice preview of what you taste. Each stage of the wine’s life adds a further complexity to the bouquet, or overall aroma and smell of the drink. The grapes used to make the wine, the remnants of the winemaking and fermentation processes, and the storage method used all contribute pieces to this puzzle. Swirl the wine in your glass for a good 10-12 seconds. This process is not something that wine connoisseurs do to look fancy—it actually releases some of the additional aromas from the wine. Each wine has its own unique characteristics that mix and mingle when you swirl your glass, so give it a go. Swirling the glass helps to expose the wine to more air, further releasing its aromas. Certain red wines will need additional oxidation after being stored for a considerable amount of time. For your first sniff, just take a quick whiff of the wine. What does it remind you of? Fruits, flowers, and spices are all potential pieces. Now, stick your nose into the glass and inhale deeply. Make a note of what you smell and what different aromas stand out more than others. Feel free to swirl again and continue to enjoy the wine’s bouquet. Grape variety and growing season can contribute to smells you first pick up when smelling a wine. The fermentation process can also add to the wine’s smell depending on the type of yeast used or whether the wine is a result of cold or wine fermentation process. For instance, vibrant fruit aromas are typically characteristic of cold fermented wines, while warm fermentation can provide a more earthy or spice-like quality. The storage of the wine also adds to the smell. More practiced tasters can sometimes even deduce the exact storage method simply by smelling the wine. Wines stored in large vats of stainless steel, concrete, or even old wood have a more enhanced fruit than others. In comparison, wines stored in smaller oak barrels tend to take on different aromas based on the length of time stored and can take on hints of vanilla, coffee, smoke and even toast. You’re also bound also come across some unavoidable off-aromas. A wine that’s not quite up to standards will take on a damp cardboard smell, or even a scent eerily similar to old high school gym socks. This is typically an indication that the wine is “corked.” This refers to the presence of a compound known as trichloroanisole (TCA) in the cork used, which can damage the wine’s aroma and flavor. Now you’re ready to take your first sip. There are three phases of the actual taste of wine that you’ll experience. Initial Impression: This is the very first impression of the wine as it hits your mouth and tongue. This taste will help you consider the alcohol content, tannin, and also the levels of acidity and sugar in the wine. Does the wine seem sweet or dry, crisp or dull, creamy or rough? 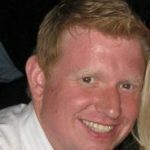 The ideal first impression will have a balance of all of these aspects. Your first impression should then lead to thoughts regarding the wine’s intensity and complexity. Middle Phase: This second phase of the wine is the actual taste of the wine on your palate. If you’re enjoying a red wine, then you may catch hints of multiple fruits. These could include plums, cherries, prunes, or any assortment of berries. Flavors of spice and wood you might find can include any combination of pepper, clove, cinnamon, oak, and cedar. Red wines can also have some level of smokiness that you can taste in this phase. White wines in contrast can give you flavors of apple, pear, citrus, and tropical fruits. Whites can also offer floral notes or hints of honey, butter, herbs, and even minerality. Finish: This is the wine’s lasting impression, or what you might consider the aftertaste. The weight of the wine comes into play in this stage—at this point, you should be able to tell if your wine is light, medium, or full-bodied. 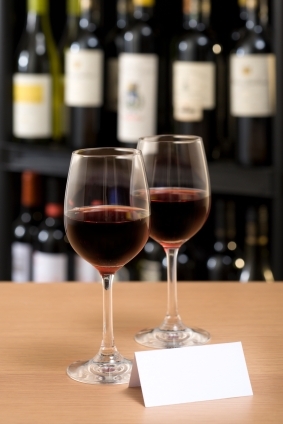 A full-bodied wine will have a much longer finish than a light wine. What’s important to consider in this stage is just what specific taste the wine leaves with you after it’s gone. That lasting impressions can be just as important as the initial ones. Cabernet sauvignon: Will have overwhelming dark fruit flavors, including currant, cherry, and other black fruit as well as some green spices. Merlot: Can have hints of plum, both red and black fruit, and floral tastes. Pinot noir: Raspberry and cherry along with an earthiness, even truffle—depending on age—are often found. 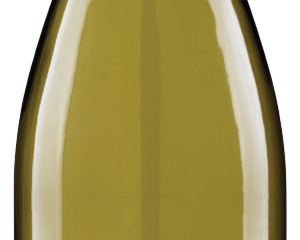 Chardonnay: Will include tastes of various tropical fruits and melons, or depending on fermentation and aging varying hints of cream and butter. Sauvignon blanc: Grapefruit and lime, melon, and passion fruit are prevalent, often accompanied by grassy or fresh herb aromas. Pinot gris/grigio: White peach, pear, and apricot are most common. Along with your primary notes be sure to pay attention to the wine name, grape variety, producer, and vintage as these can be helpful to finding new wines in similar categories. Also, if food was involved in your tasting experience, take note of what you ate with the wine. Was it a good pairing, and why did you think so? Was the wine overpowered by the food? Did they complement and enrich one another? Make notes on what you liked or disliked about the pairing to recall the match later on. Finally, did you like the wine or not? Knowing what you like is important because it will then be easier to find something similar at the store or on a menu. The most important thing to remember is that wine tasting is a true sensory experience. Sight, smell, and taste are all involved and vital to the process. The combination of these senses creates your overall impression of the wine. You can’t train your palate in a day, but with practice you’ll be tasting wines confidently and know more about what you enjoy. 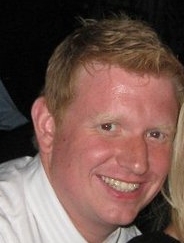 Mike Tennant is a freelance writer and columnist from Orange County, CA. Mike has recently started to expand his own wine education through his work with Air & Water Inc., where he helps educate people looking for wine cellars for their homes. Thanks for the info! Cheers!